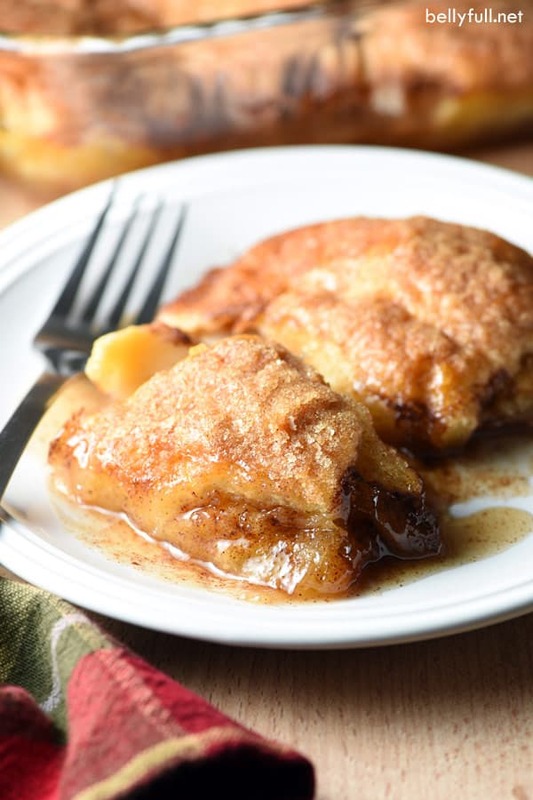 These Easy Peach Dumplings are soft and gooey on the bottom, but crispy on top, and taste like peach cobbler. 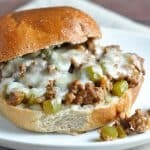 Crazy easy and ridiculously delicious! 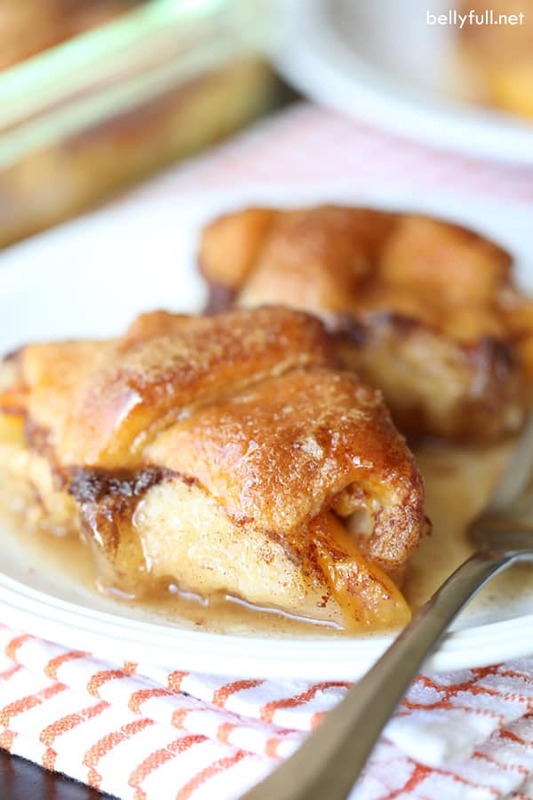 I’m not ashamed to admit that I made these peach dumplings three days in a row. I saw fresh peaches at the market last week! Like…whaaat? I don’t usually see those until May. So I snatched several up and made my favorite Sour Cream Peach Pecan Pie and these Easy Peach Dumplings. 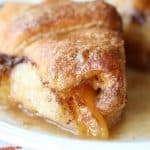 Shortly after making my Country Apple Dumplings last year, someone suggested using peaches, too. I wasted no time, altering a few other ingredients, and have made them about 400 times since then. I’ve been known to serve them for breakfast sometimes, but clearly these are a dessert. A scoop of ice cream, while not at all necessary, puts it over the top! Not kidding when I tell you this dish will change your dessert life. You only need a handful of simple ingredients (most of which I bet you have in your pantry already) and 15 minutes (tops!) to put it all together. Then you sit back and enjoy the amazing smell that engulfs your house as they bake. Can I use canned peaches instead of fresh? Yep! I’ve used canned peaches many times, because obviously fresh peaches are impossible to find in the winter time. They break down a little more, but it’s negligible and just as good! And even easier, because there’s no peeling. The soda adds necessary carbonation – do not eliminate it, or these will not turn out right. 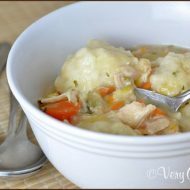 By pouring it around the edges of the pan, it creates moisture to cook the dumplings and an amazing crust on the crescent rolls while baking. 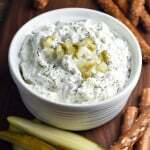 It also boils down and contributes to the gooey sauce that will make your heart skip a beat. 7-Up, Sprite, or Mountain Dew can be used instead of Fresca, but Fresca gives these a slight citrus-y flavor to the biscuits. Plus Fresca has zero calories, so the alternatives will tack on some. 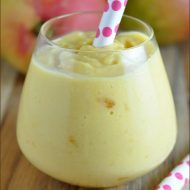 Other peach recipes you’ll love! Watch the video and see how to make them! Preheat oven to 350 degrees F. Coat a 8x8 baking dish with nonstick cooking spray. Separate the crescent dough into 8 triangles. Place a peach wedge near the small end of the dough triangle, then roll up. Pinch the ends to seal. Transfer to the prepared baking dish. In a medium microwave safe bowl, melt the butter. Add in the granulated sugar, brown sugar, and cinnamon; stir until combined and smooth. Drizzle butter mixture over the dough. 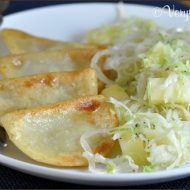 Pour the Fresca to the sides of the dumplings (not on top!) so a nice crust is formed while baking. 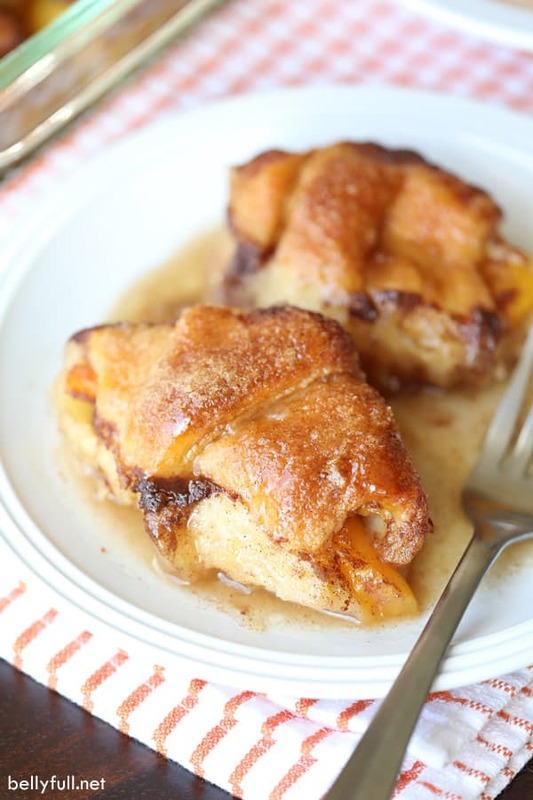 Bake until golden brown and peaches are tender when pierced with a fork, about 35 minutes. Remove from the oven and let stand 10 minutes. 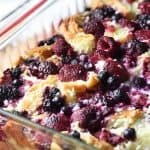 Serve for dessert with some vanilla ice cream or a very decadent breakfast! 1. I don’t think fresh peaches need to be peeled for these - their skin seems to break down and get perfectly tender from baking, but feel free to peel them if you want. If using canned peaches, you’ll want a 29 ounce can of Halves. 2. 7-Up, Sprite, or Mountain Dew can be used instead of Fresca, but Fresca gives these a slight citrus-y flavor to the biscuits. Plus Fresca has zero calories, so the alternatives will tack on some. Diet soda is not ideal because some won't thicken the sauce the same, and some artificial sweeteners will break down when heated, but you can try it! 3. Need to feed more than 4 people? No problem. Just double all the ingredients and bake in a 9x13 pan. These are definitely on my “make soon” list! Thanks! 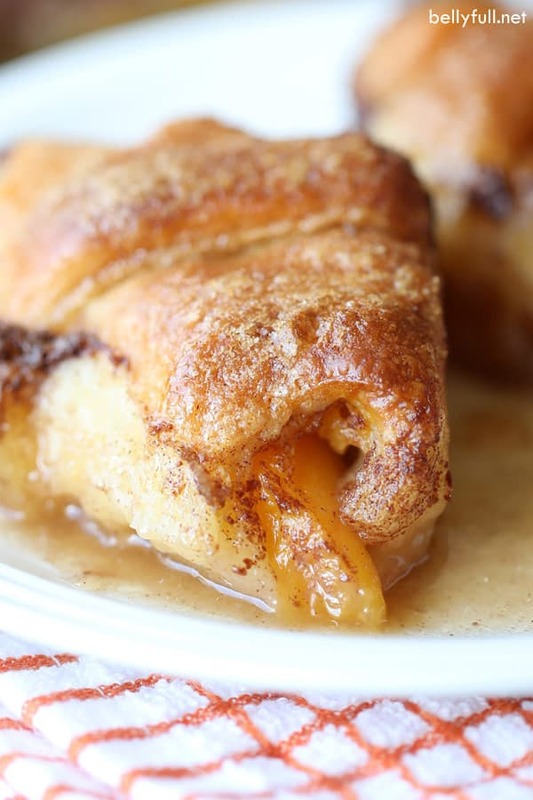 Can you use pie dough instead of crescent rolls? You probably could, but the temperature and time would probably need to be adjusted and I can’t give proper instructions, since I’ve never tried it that way.